University of Phoenix commissioned a 2016 online survey on workplace innovation, speaking to both employees and employers to better understand if companies are implementing innovative techniques and tools, and how well they’re being embraced and understood by employees. By evaluating both the employer and employee perspective, University of Phoenix took a deeper look at where American companies are succeeding with innovation in the workplace, as well as where they’re coming up short. The survey showed that individuals perceive themselves to be innovative and to a large degree held back by their company’s lack of resources, while hiring managers view the majority of their employees as missing key innovative traits. What’s more, over half of employees say their company is average when it comes to creativity (54 percent) and predicting trends (57 percent). 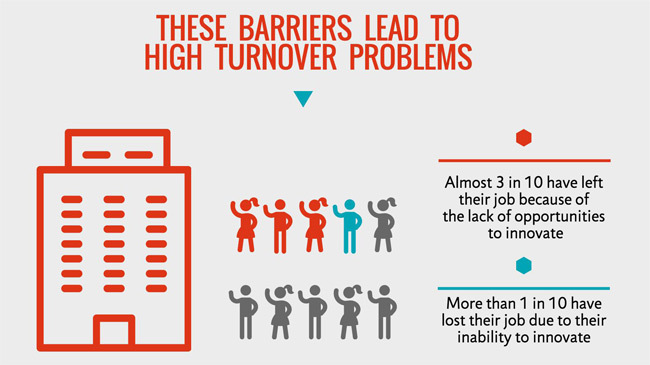 But employees may not be keeping pace with employers’ expectations. Employers may need to do more to empower their teams to innovate, as three in five (61%) employees said they have the resources to innovate, but 75 percent said they would be more innovative with better tools. 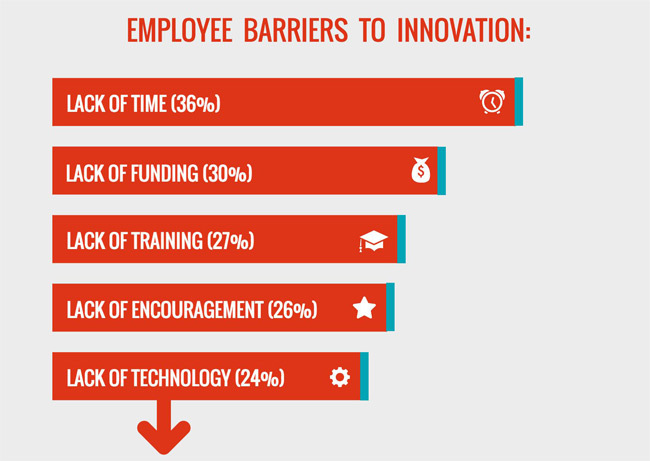 Greater access to professional development tools may help employers fill this innovation gap and prevent some employee turnover. This employer survey was conducted online within the United States by Harris Poll on behalf of University of Phoenix and included 1,008 U.S. adults aged 18 and older who are full-time employed in a company of 10 employees or more, work in HR or senior management and have some influence over hiring decisions. The employee survey consisted of 2,009 U.S. adults aged 18 and older, who are full-time employed in a business of 10 or more employees. All were surveyed between Sept. 26 and Oct. 11, 2016. For complete survey methodology, please contact the University of Phoenix External Affairs team.